Blondie and Brownie: Happy Birthday, Brooklyn Shake Shack! 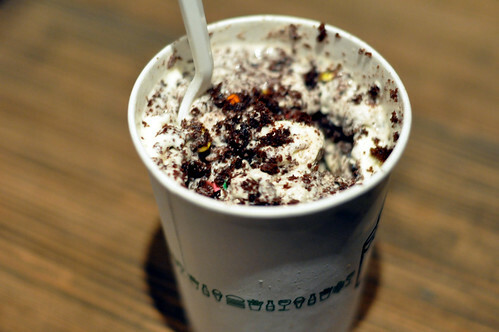 I love that when Shake Shack's have their opening anniversaries that they celebrate with a one-day only birthday cake concrete. At the Brooklyn Shack this year's offering was a vanilla custard with BAKED's devil's food cake, caramel sauce and sprinkles--'cause how can you have a birthday cake without sprinkles? Happy birthday Brooklyn Shake Shack! Here's to many more!